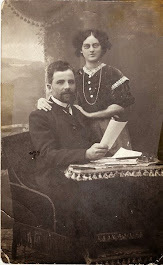 Shaia/ Sam Gillick and his wife Bathsheva Horowitz named their oldest son Yekutiel Leib (Louis ) Gilick, spelled with 1 L. Shaia's father's name was Yekutiel Leib so that would mean that he died before 1896. 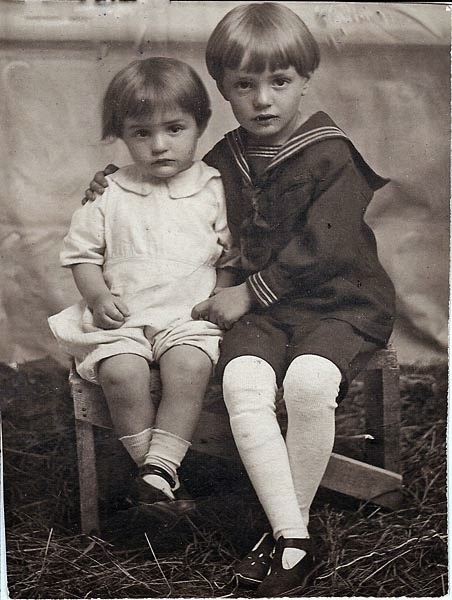 Louis was born in 1896 and died 29 Feb 1936. According to Shaia's Ocean Crossing , he was born in 1856 and died 6 Aug 1954 in Montreal, Quebec. 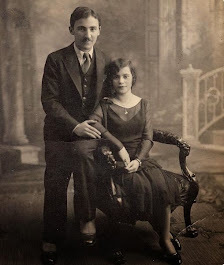 He and his wife, Bathsheva ( Sara ) Horowitz, born in 1874, sailed on the S.S. Montrose from Warsaw and arrived in Quebec, 23 Jun 1923. Bathsheva died 17 Aug 1955. So in the family I now know 3 Gillick branches who named their son Louis. I know our family was quite wealthy as they owned a flour mill but lost everything when the communists took over and they had to leave. I think it was a lot like Fiddler on the Roof but a matriarchal system as my grandfather was always studying Torah. It was my grandmother and her children who ran the business. I remember a lot. I saw them( grandparents) every Sunday. I was eight when they died. My grandmother was very warm, friendly and intelligent. My grandfather was very stern, distant, timid and very very religious. Yes he had siblings, I think they lived in the States. Through the Hebrew translated from Shaia’s gravestone, I found out that Shaia's father was Yekutiel Leib. The obituary of another son Marck ( spelled this way ) told me of 3 other children, Avrum, Elke and Boruch who were not mentioned to me when I had asked about the family members. One of the 12 children was Sonia and Howard Gillick told me about his aunt’s life and the extent of the effect of meeting her had on him. My Aunt Sonia, as my father and his siblings, had status for entry into Canada as Russian refugees. 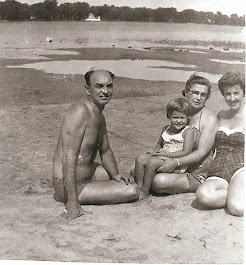 My Aunt married my Uncle en route to Canada, He was a Polish refugee so they were no longer considered Russian and quotas for Poles were filled that year. Cuba and Argentina were the 2 countries allowing entries for Poles that year and as my uncle had some relatives there, they chose the latter. 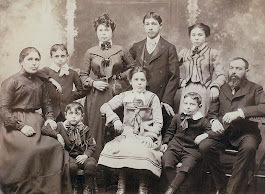 At that time, Argentina was richer and attracted more immigrants than Canada! The idea was that they would eventually move to Canada but they never did. She came twice to Montreal. She stayed for a few months each time, in 1953-4 alone and in 1965 with my uncle. I can't remember if it was the Star or the Gazette, but in 1965 they did a whole page article about her and how she got separated from the rest of the family. She stayed at our house. I was fascinated by my Aunt who spoke Spanish. I think living there made her very cosmopolitan, coming from a village in the Ukraine. Buenos Aires has always been a very sophisticated, cultured megalopolis, the Paris of South America. I think the change for her was more difficult than for her Montreal siblings. 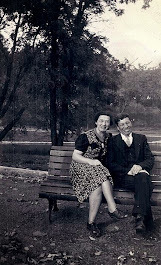 But she adapted very well: I found her and my uncle to be much more worldly, cultured and refined than us Montrealers. They also seemed not as Jewish-centric as us. They talked about going often to the opera in Buenos Aires. She was a great cook and besides knowing all the Jewish recipes, she whipped up all sorts of Italian dishes and pizza. This in Montreal in 1954!